The Canadian Institute of Hair and Scalp Specialists (http://www.canadianhair.ca), a Toronto-based organization offering hair loss treatment for over 25 years, is thanking all of its clients for trusting in its services for another year. “We just want to thank all of our clientele for putting their trust in us for another successful year,” says Ken Robson, founder of The Canadian Institute of Hair and Scalp Specialists. “Without people who believe in what we do and the hair restoration services we provide, we couldn’t even imagine being as successful as we’ve been. Robson advises that The Canadian Institute of Hair and Scalp Specialists will continue to focus on the needs of its clients and push to adopt any new hair restoration strategies once they become available. “It’s about continuing to grow and adapt to new research, new technology, and new ways of serving our clients. Robson also reminds potential clients that the company is still offering up to $1,000 savings on a hair transplant procedure through the month of January. New clients are welcome, though an assessment is always insisted on before any procedures are applied. 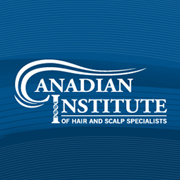 Visit The Canadian Institute of Hair and Scalp Specialists’ website for more information on how hair restoration procedures can help improve confidence and the quality of life for men and women in Canada and around the world.